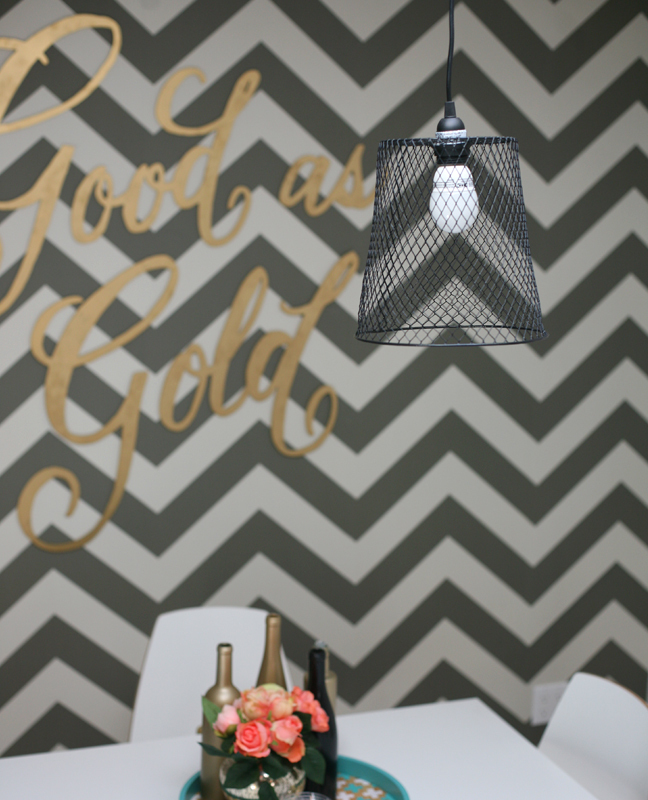 This DIY takes a basic household item you wouldn’t normally gravitate to and turns it into a great decorative DIY hanging lamp! 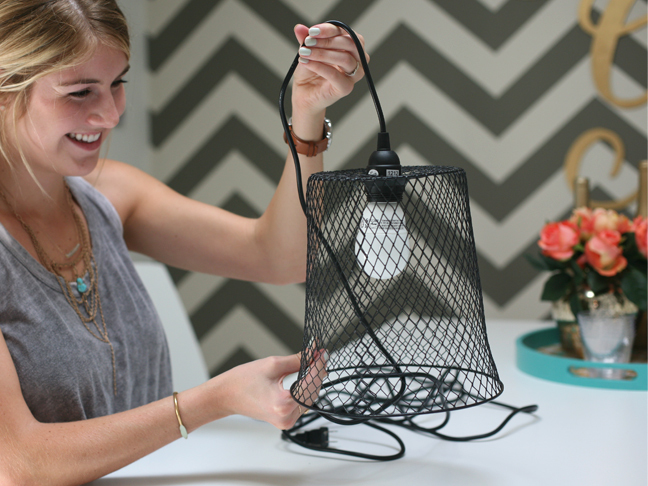 By taking an unused wastebasket you can create a hanging lamp perfect for any space. Simply by cutting a hole in the top and hanging a string light bulb through it, you can create an unexpected (and cheap!) light fixture! 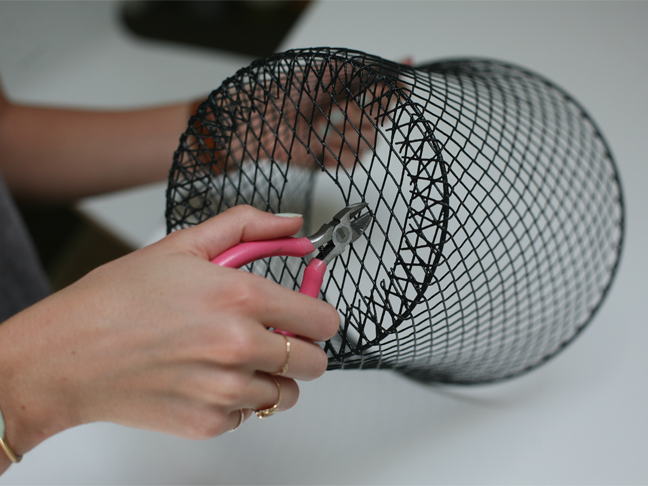 Step 1: Use the wire cutters to cut a hole in bottom of the wastebasket. 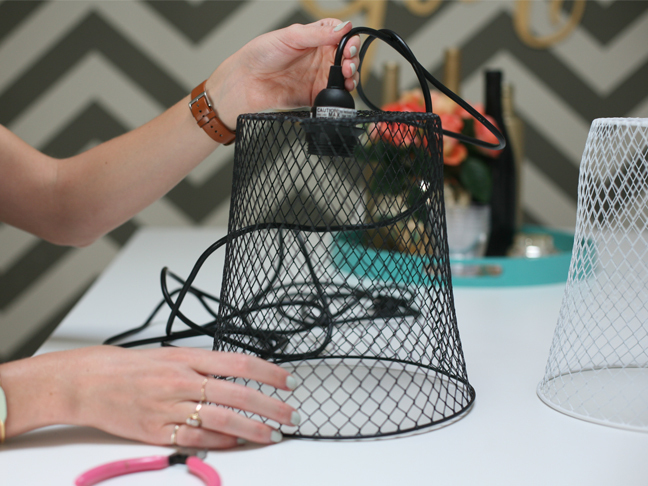 Make sure the hole is not too big, so the lip of the cord won’t slip through it. 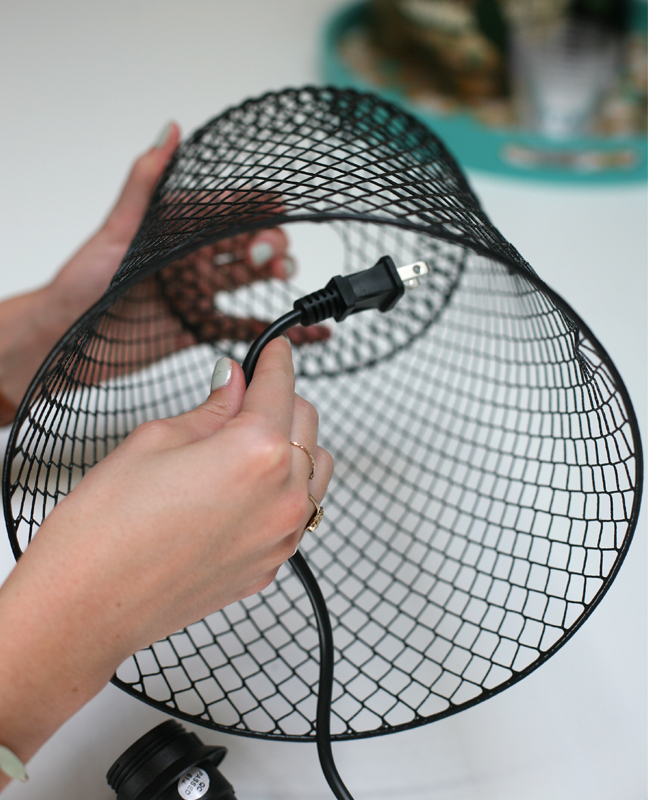 Step 2: String the cord from the inside of the wastebasket through the hole. 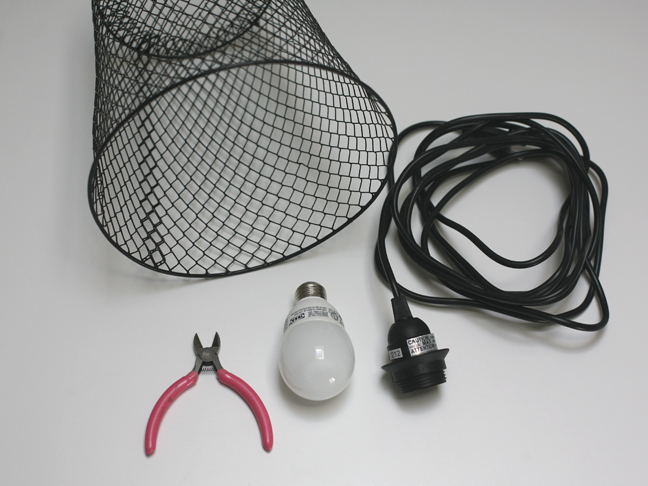 Step 3: Screw the light bulb into the cord. 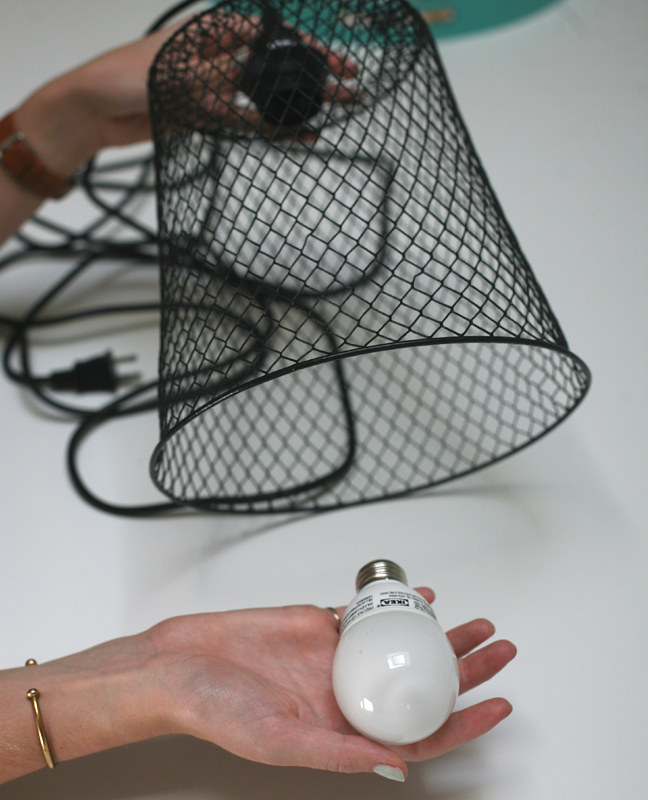 Step 4: Pick where you want your lamp, hang it, and voila!